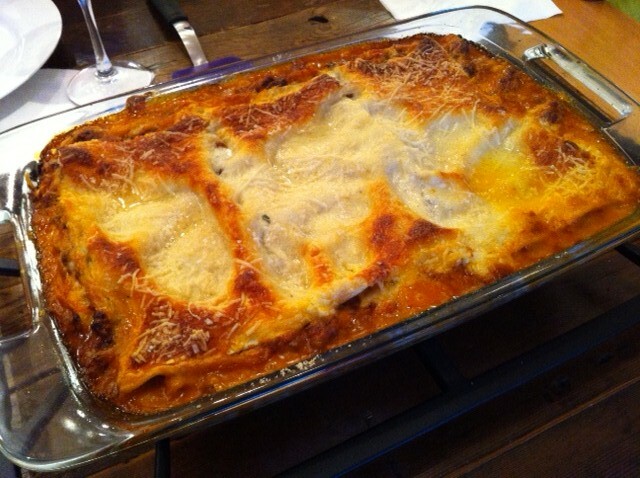 Spicy Bolognese Lasagna WARNING…this recipe is truly a two day process but is so worth the time, energy and love spent. Originally adopted from Smitten and modified to my liking, there is not a person on this earth who will not think about this dish at least three times the following week after having it. MMM…It is sinful, simple and delicious. 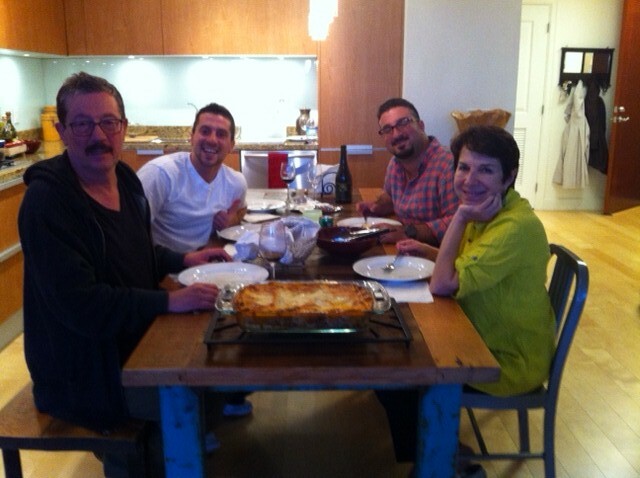 Prepare your bechamel as a substitute for ricotta cheese! DAY 1 – Make your bolognese sauce and store it overnight. In the ingredient list below, you might be surprised not to see ricotta in the ingredients, why? 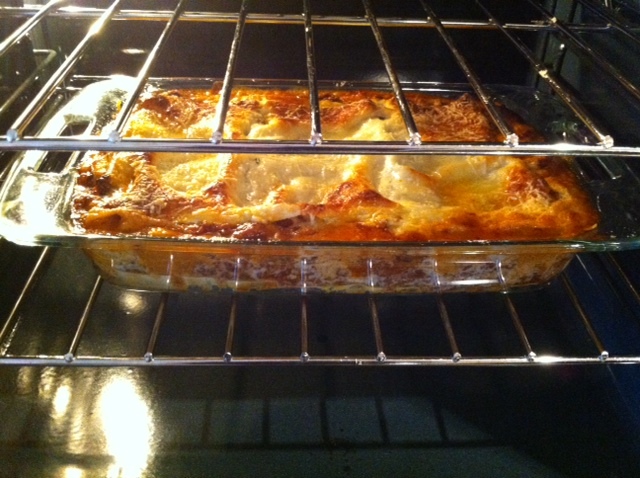 Because we are going to substitute it with a rich and creamy béchamel. First, melt the butter over medium heat in a medium saucepan and then add the flour stirring until smooth. Cook for a minute, stirring constantly and then add just a smidge of milk while whisking. It is important not to add too much…just a little at a time until you have added a little over 2 cups. 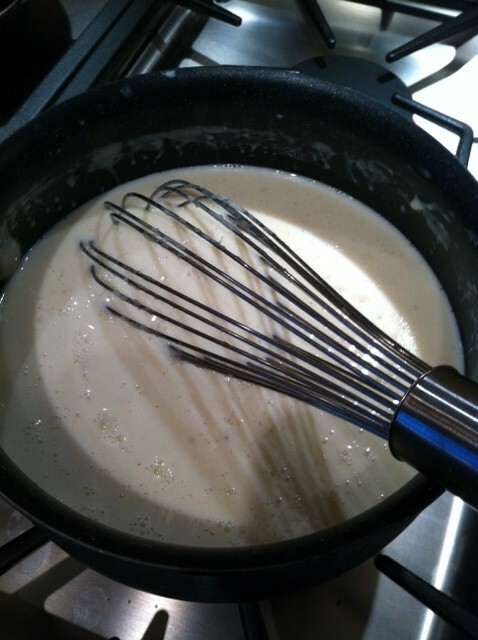 The sauce will start to thicken and then you can add larger amounts until it has all been combined…whisk, whisk, whisk. Then add the salt, garlic, nutmeg and black pepper…let it simmer while stirring frequently for about 10-15 minutes. YAY- the fun part :0). 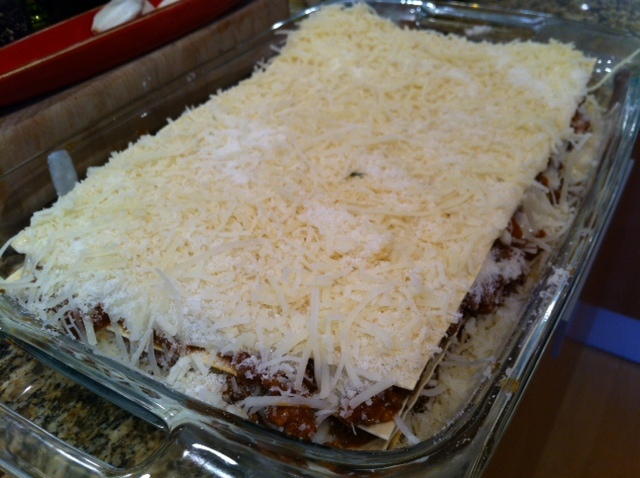 Coat the bottom of a 9″x13″ baking dish with about 1/2 cup béchamel and add the first layer of pasta (3-4 noodles) on top. 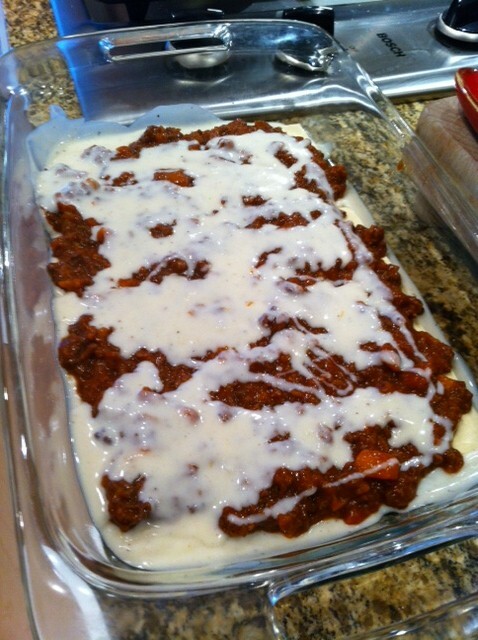 Spread about 2 cups of bolognese sauce evenly over the pasta, pour just over 1/2 cup of béchamel on top and sprinkle with cheese to complete your first layer. Repeat 4 more times. 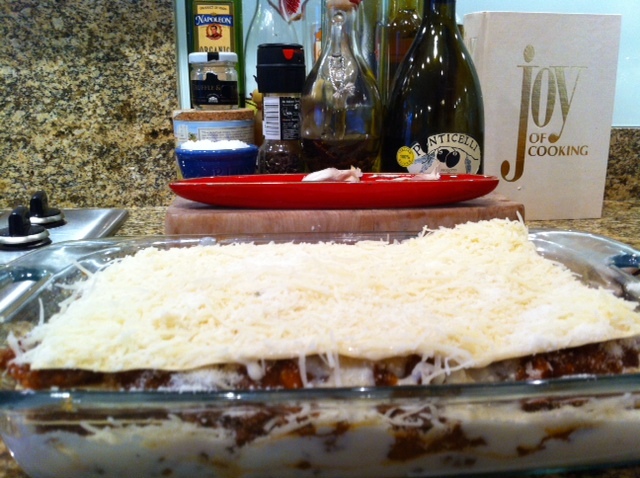 To finish it off, top with a layer of pasta, pour your remaining béchamel on top and coat with the rest of the cheese! Bake for about 45 to 55 minutes, until bubbly and brown on top. Remove, let it cool for 10 minutes and serve! !